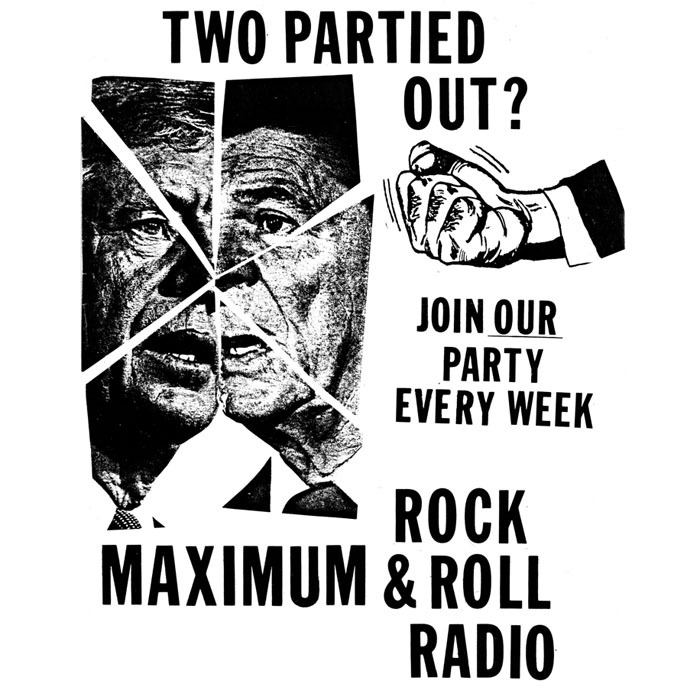 Welcome to our new MRR Radio project: “Livin’ Like a Pig”! Once a month we will bring a variety of noises to your ear holes, including news, music, jokes and burping contests. Bands and other folks will be interviewed, records will be discussed, and the news will be thoroughly dissected, all with as much humor as is appropriate. In this episode, Langford, Fred, and Brynn talk about how to deal with a suicidal friend, what some of the best records of the year were, and how to make Monopoly punk (finally!). Also, Langford interviews NEON PISS, who talk about their new demo and wreak havoc on your brain! SF cops shoot another man with a knife — in a wheelchair! At about 18 minutes 15 seconds into the show, it is stated that cops are trained to be “shoot to kill” because being “shoot to maim” is considered “cruel” for some reason. This may be true of some police, but in actuality most people trained in gun use for self defense, are trained for “shoot to kill” situations, because it is preferable for the gun user to kill the offender. The reason death is preferred is because if the offender lives, the offender can sue for reimbursement for medical, financial, mental, etc, distress. So if a burglar tries to kill someone in their room, and they injure the burglar, the burglar could get jail time for breaking and entering, and be done with it, time served, debt to society paid. While the person defending their life may pay medical fees, and child support for the burglar for the rest of their life, as well as face potential jail time. This really pisses cops off (so I understand,) because when a so called “innocent person” (or a cop) suffers for a crime committed by someone else, it makes justice look like a joke. So rather than give the criminal a chance to make justice look like a joke, and sue for compensation, cops would prefer for justice to be served. For the criminal to die, and the innocent to feel safe. “Shoot to kill” really has nothing to do with cruelty, and everything to do with money and liability. Makes Tasers on cops look pretty appealing doesn’t it? this is a really good show. heres looking forward to more episodes! Hey JJ. How about just no cops, period? Nothing about cops is appealing. But, yes, I do see how they are motivated by money.